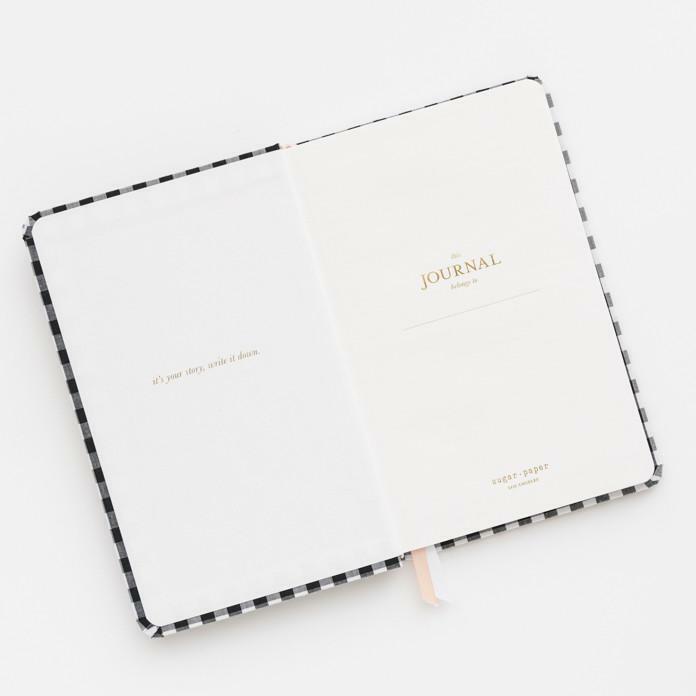 The perfect everyday journal, with a simple, classic, stylish look. Wrapped in carefully sourced textiles. 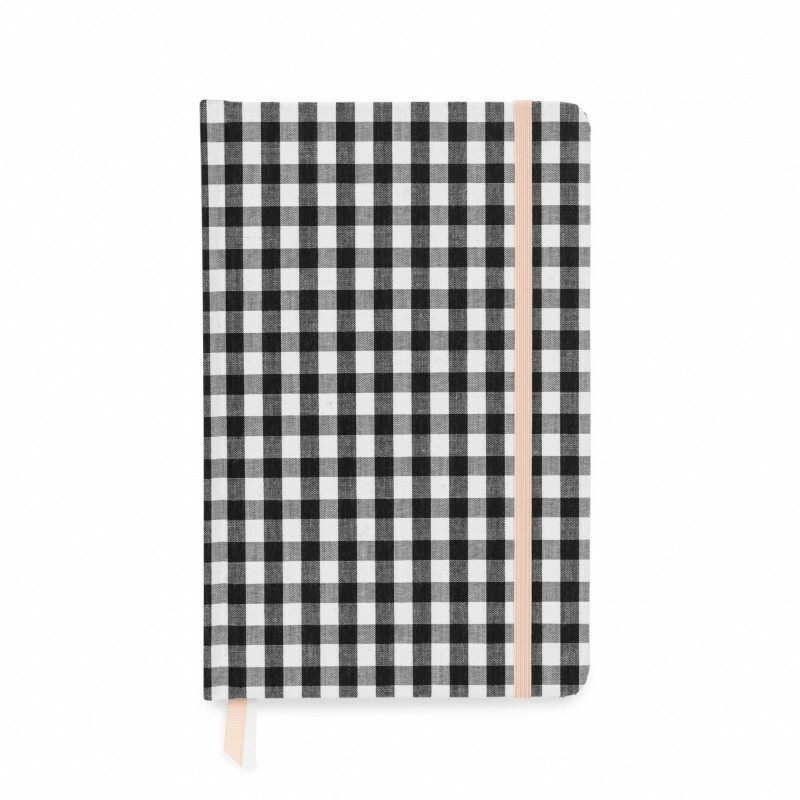 Hardcover with gingham bookcloth and a pink elastic closure. Includes 50 lined pages and double grosgrain ribbons to help keep your place. 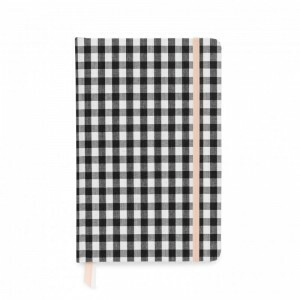 8.25″ x 5.5″.